Hello April! It&apos;s time to get ready to layer smart and layer chic. The weirdness and wonderfulness of April weather means we need to be prepared for anything from sunny skies to sudden storms—hey, that&apos;s what makes the daffodils bloom. 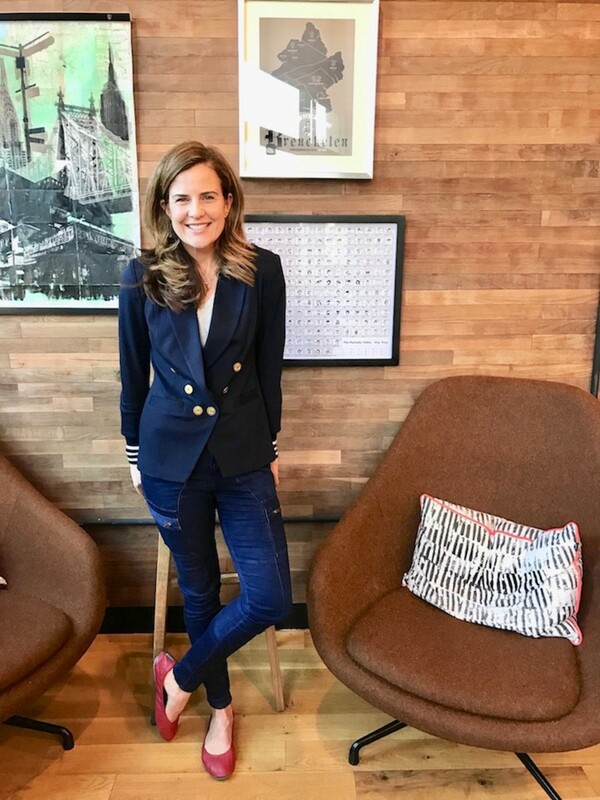 This is why you need a navy blazer for spring. This is pretty easy to pull off. All you need is a pair of great jeans and a fitted t-shirt. My cargo jeans are dark and easy to wear. I added the perfect tee from my friend Carly&apos;s collection and my trusty cardinal red tieks. You could add a scarf to this outfit or swap the flats for heels. That&apos;s the beauty of great basic clothing pieces—make them your own. I like clean lines and pops of color. For me, the red flats make sense. Plus these travel really well. 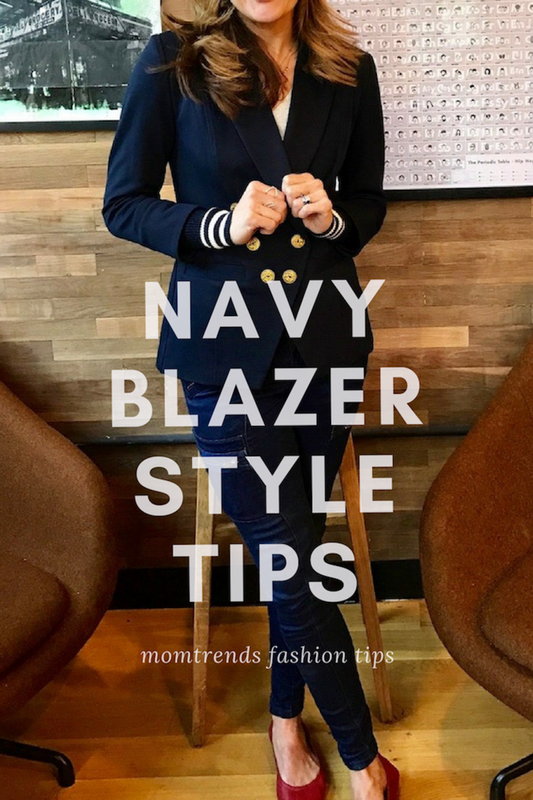 My jeans are narrow, but this navy blazer for spring would also work with a fuller leg. And moving into the summer months, I will start wearing the blazer with white or yellow denim. I&apos;m wearing really simple jewelry here—a few thin rose gold necklaces (which you can barely see) and rose gold rings. Definitely have fun with the accessories! No need to worry about clashing. 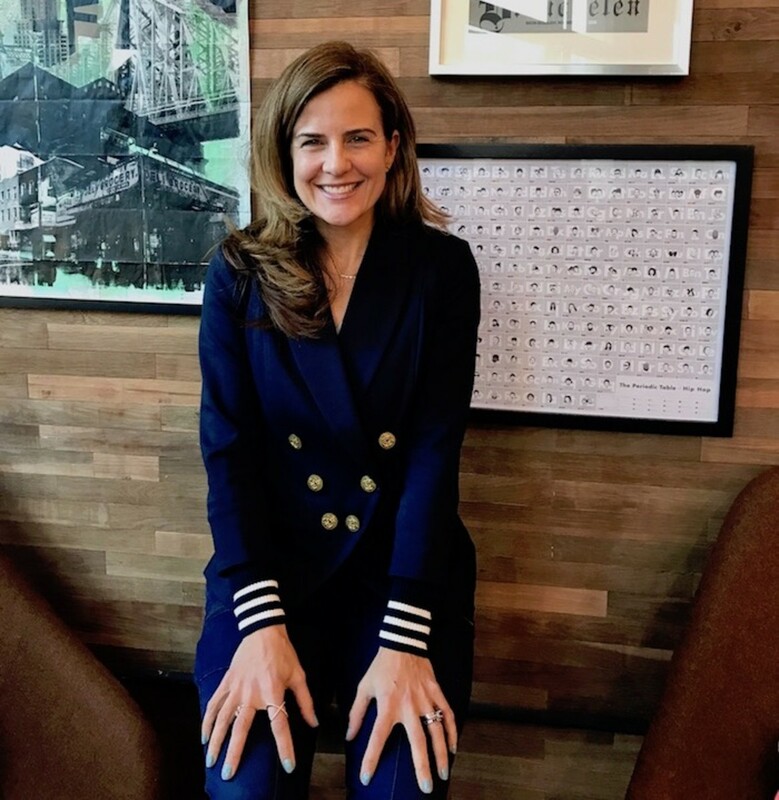 I think I found the perfect pick—a knit blazer from cabi clothing. 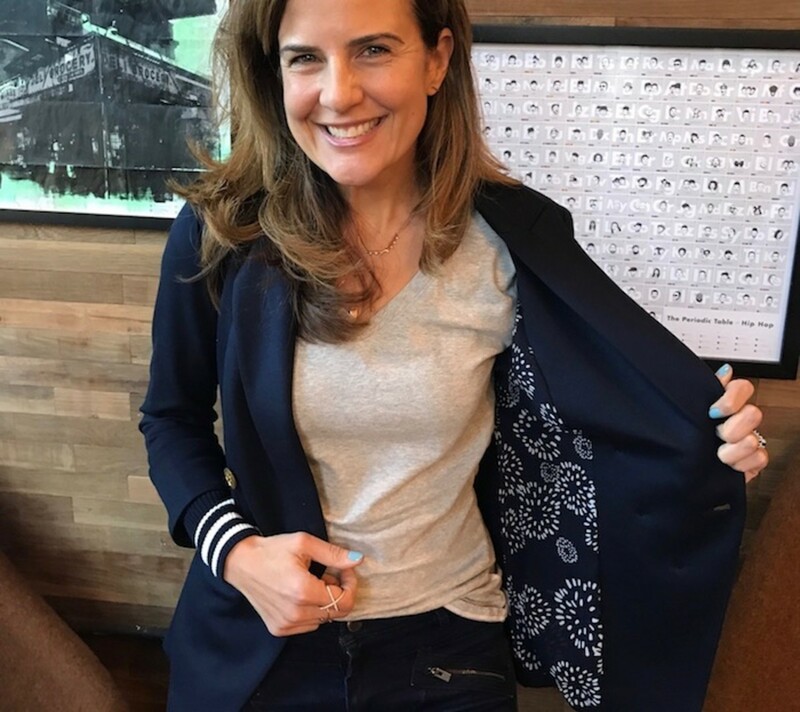 This is the Grand Slam Blazer from the 2016 cabi Spring Collection. Don&apos;t you love the contrast floral lining?! Yes, it&apos;s classic. It&apos;s got gold buttons and it&apos;s double breasted, but it&apos;s also modern, because it nips in at the waist and get this, the ribbed sweater cuffs are detachable! When the warm weather comes it&apos;s a 3/4 sleeve cover up. Ideal for spring and summer trips.